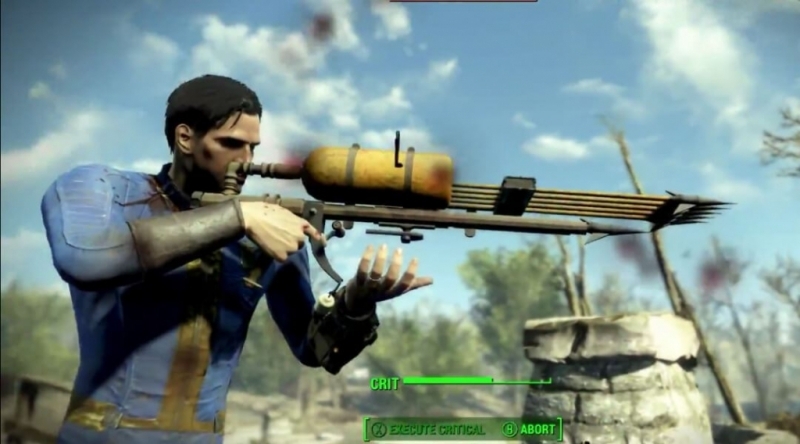 Even though the console in the PC version of Fallout 4 has been used to discover secrets such as an item-filled developer room and a harpoon-style weapon, fans have been warned by Bethesda marketing manager Pete Hines that the company advises against using console commands as it can corrupt players’ save files. YouTube channel Tyrannicon revealed that typing “COC QASMOKE” in Fallout 4’s console will teleport players to a developer testing room that contains every item in the game, including hundreds of building materials. Similar rooms are available in two of Bethesda’s other open-world RPGs, Skyrim and Oblivion, and can be accessed via those games’ consoles. Recently, a modder named xxdeathknight77xx discovered a hidden Harpoon gun that replaces Fallout 4's railway rifle. The console commands are used to supply ammo for the secret weapon, which some speculate is related to future DLC that will feature water-based combat (bubbles come off the harpoons when they are fired). Despite the warnings, it’s likely that players will continue to use Fallout 4’s console commands, particularly those who are doing a second playthrough and want to quickly level up their character. It was reported last week that Fallout 4’s first patch will arrive on Steam later this week, with the console versions receiving it at a later date.